Eaton's Blank Face GFCI provides protection from dangerous electrical shocks caused by ground faults. Our GFCI devices automatically self-test periodically to ensure GFCI protection and continuous safety. In addition to being tested to the highest standards to help ensure safety, Eaton's GFCIs will deny power and prevent re-setting if the device is no longer able to provide safe, protected power. The built-in indicator lights provide quick notification of a tripped or “end of life” condition. This switch plate is made of stamped steel that is painted white. It has a smooth, glossy finish to it. The style of the plate is called Princess because of its rounded corners and bevels. 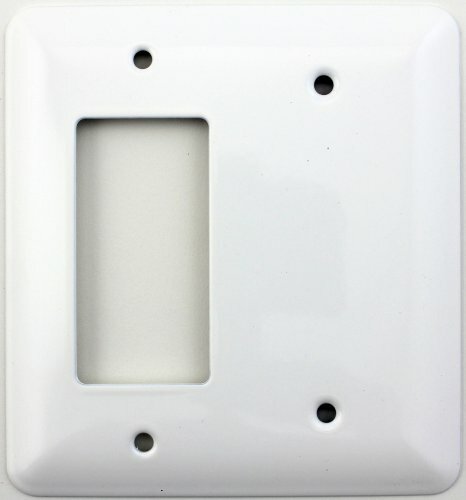 This wall plate is a two gang switch plate that will accommodate one standard GFI electrical outlets, rocker switches or any other rocker opening device next to a blank position. Plate measures 5" by 4 1/2"
20 amp feed- through, 125 volt receptacle/outlet, self-test smart lock Pro slim Blank GFCI, monochromatic, back and side wired, wallplate/faceplate sold separately, self Grounding clip included - ivory peace of mind, all the time. The SmartlockPro self-test GFCI tests itself even if you forget. Designed to meet the latest UL standard for auto-monitoring (self-test) our complete line of self-test GFCIs periodically conduct an automatic internal test to confirm that it can respond to a ground fault. 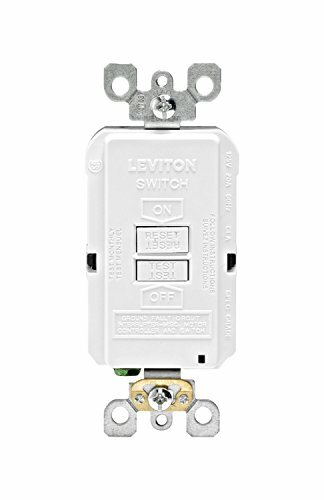 With the slimmest profile on the market, the device allows for fast and easy installation, while Leviton patented reset lockout mechanism prevents reset of the GFCI if it is not wired or operating correctly. The SmartlockPro self-test GFCI is the smart choice in ground fault circuit Interrupter protection. Blank face GFCI, provides continuous ground fault protection, detects and trips on actual ground fault even when self-test is being conducted. Periodically conducts an automatic internal test to confirm that it can respond to a ground fault. On initial power up, tests the GFCI within 3 seconds. Status indicator light. Lockout action prevents reset if GFCI is damaged. Thermoplastic face, polycarbonate body, Brass clamps. NEMA WD-6, CSA C22.2 No. 42, UL 943: File E48380 and Fed Spec WC-596. This switch plate is made of stamped steel that is painted white. It has a smooth, glossy finish. The style of the plate is called Princess because of its rounded corners and bevels. 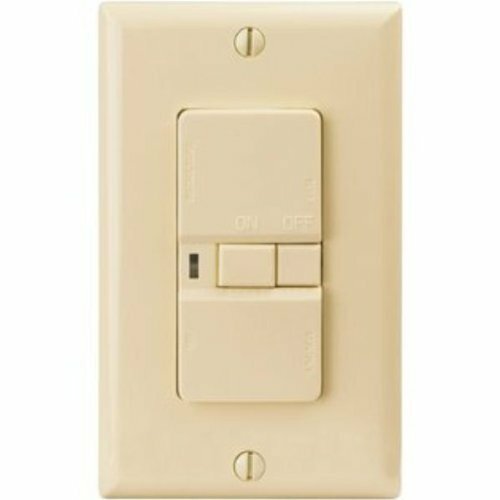 This wall plate is a two gang switch plate that will accommodate one standard GFI electrical outlets, rocker switches or any other rocker opening device next to a blank position. 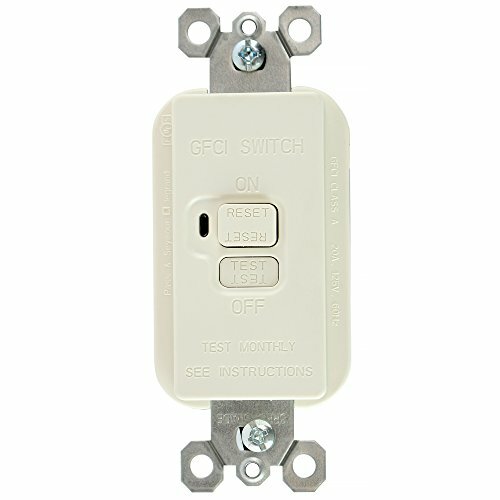 Plate measures 5" by 4 1/2"
Cooper Wiring Devices Specification Grade Blank Face (Dead Front) GFCI Outlet has Shock Sentry lock-out function protects from miswired line-load connections and GFCI circuitry damage. Compact design provides maximum wiring room in grounded box applications. Device and wallplate mounting screws are captive, speeding installation time. 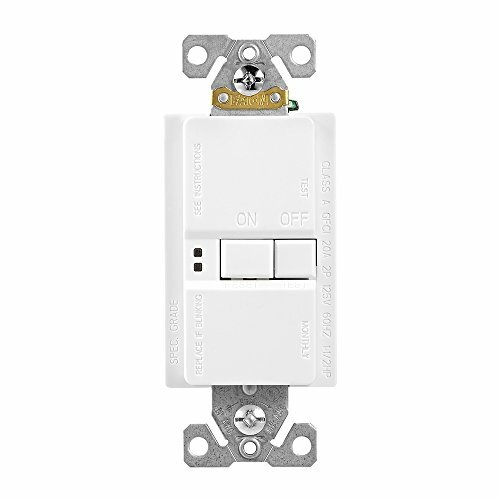 This GFCI is rated for 20-amps and 125-volts with back and side wiring. It comes with a standard size unbreakable wallplate. Size: 1/2\"5" by 4 1/2"
Want more Gfi Blank similar ideas? Try to explore these searches: Premier Excavator, Butterfly Hanging Hook, and 30 Chimney Wall Hood.